Malibu Community moving forward with newly elected committee. 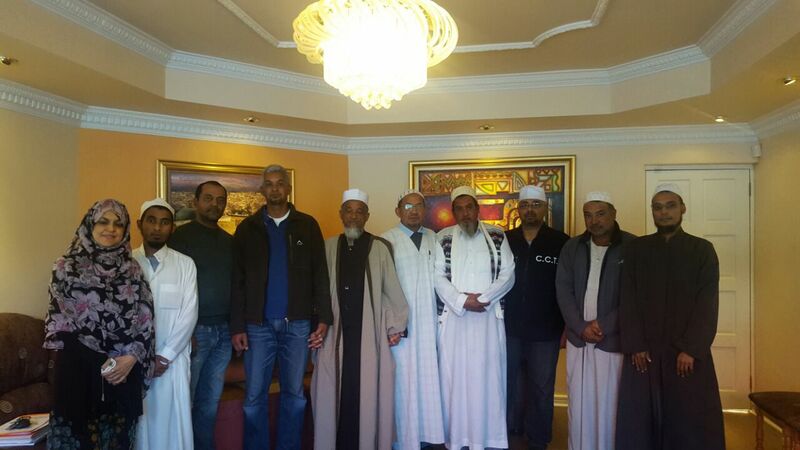 It was a great day for the leadership of the Muslim community of Malibu who under the guidance of the President of the Muslim Judicial Council (MJC), Shaykh Irfaan Abrahams, assisted by Mlna Binyamien Osman and Sr Nabeweya Malick established the Malibu Islamic Society on 30 July, 2016 at the offices of the MJC. Following the demolition of their intended masjid by the Human Settlements Department of the Province in May and the lack of a central united Islamic group managing the Muslim community in Malibu, Shaykh Irfaan committed to unite the factions in the area under one committee and then through the representative central structure apply for much needed land on which to build a masjid. After beautiful Naseeha(guidance) shared by the President, which highlighted the primary purpose of the gathering and the years of service that each member contributed purely to serve the House of Allah and to please Allah. Shaykh reminded the jamaah that with the right attitude and intention this community will move forward. The responsibility and duty that each Muslim has, Shaykh Irfaan explained was irrespective whether you hold a particular position on committee or not. The attendees put all differences aside for the greater good and the members of each side agreed that whatever decisions taken under the MJC leadership, would be abided by. They declared that all differences was in the past and that it will not affect the new body. Alhamdulillah. Shaykh Irfaan advized that a committee had to be established with 6 representatives from each side. Thereafter a Trust would be established with members of broader community who have interest in assisting Malibu. During the elections of the respective positions, candidates were sourced from the two Jamaah according to their experience, skills and previous successful roles that they had. During a very emotional exchange of Mubarak a brother stood up and thanked Allah for what he witnessed and said that he had been making dua for years that the community would one day work together with love for one another for the benefit of the Islam. He thanked Shaykh Irfaan for making the time to assist and guide the process.